Elevate 2018, the premier conference for human capital transformation in retail automotive, kicks off two months from today. On October 1 and 2, join more than 250 retail automotive HR leaders, along with their General Managers and Dealer Principals, to discuss the latest human capital management trends. Between decreasing profit margins and increasing hiring costs, dealers need to find new ways to remain profitable. Elevate 2018 will help you map out next steps to turn your people into a source of profitability and competitive advantage. We’ve outlined five key reasons you should attend below. Elevate 2018 will feature more than a dozen retail automotive industry speakers across a variety of diverse human capital management-focused sessions. Hear from leading dealers and retail automotive thought leaders about best practices to transform your human capital management strategy. Sessions include: “How the Candidate Experience Can Make or Break Your Hiring Success,” “How to Increase Employee Engagement and Productivity Post-Hire,” “Profile of a Top Dealership Employee,” and more. During an Elevate keynote led by Adam Robinson, co-founder and CEO of Hireology, we’ll unveil exclusive data about the latest applicant experience trends. We recently surveyed approximately 500 recent hires to gain insight into what’s working and what’s not when it comes to the hiring process and overall applicant experience. Adam will highlight key findings and help you better understand if your dealership has what it takes to attract – and ultimately, hire – the best applicants. 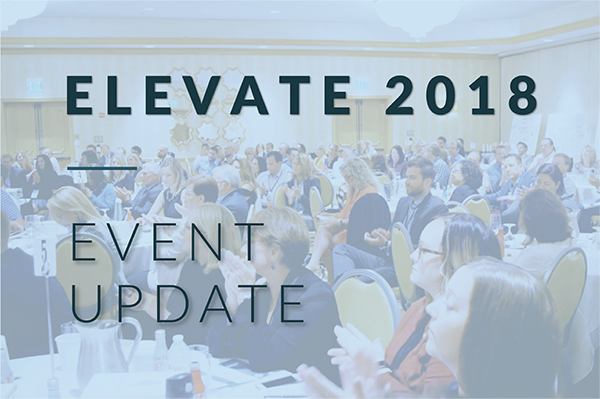 Elevate 2018 will kick off bright and early with registration, networking and breakfast starting at 7:30 a.m. Throughout the day, you’ll have several additional opportunities for networking, including lunch and scheduled breaks. You’ll have plenty of time to strike up conversations with the best and brightest leaders in retail automotive, and learn from one another about human capital management best practices. Rather than traditional speaking sessions, Elevate will feature workshop-style panel discussions and speaker sessions from experts in the retail automotive space. During the collaborative sessions, you’ll have the opportunity to talk to fellow retail automotive leaders about challenges and opportunities you see in human capital management. An expert moderator will also be seated at each table to help guide discussions. As an Elevate attendee you’ll receive a human capital management playbook, which will serve as a guide for the day’s sessions and help enable your team to turn hiring and talent management into a source of competitive advantage. You’ll leave Elevate equipped with a defined 2018 human capital game plan that can dramatically improve your competitiveness and profitability. Don’t Miss Out – Join Us at Elevate! Elevate will take place on October 1-2, 2018 at the Sheraton Grand Chicago, 301 E. North Water Street in Chicago, Illinois. The event will kick off with an evening reception on October 1, followed by a full day of human capital management collaboration on October 2. Click here to purchase tickets and learn more.